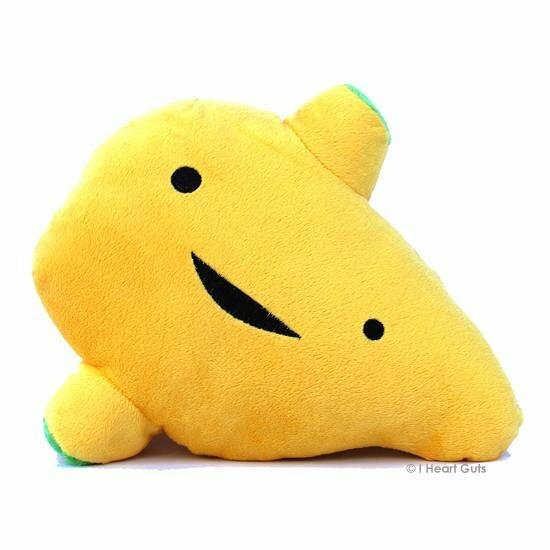 This soft-n-cuddly giant 11" x 9.5" x 3.5" liver loves you! The liver creates and synthesizes substances that maintain balance in the body. It also acts as a filter, keeping gross bacteria from getting into your bloodstream. He works in detox! Makes a cute present for the liver-lover in your life.